William Burcher Kingswell, born 21 October 1850, Launceston. Died 1 December 1850 Launceston, Tasmania, Australia. Mary Hilder Kingswell, born, 8 December 1851, Launceston, Tasmania, Australia. Married Edmund Gillow 17 February 1870 and died 27 May 1924 in Wellington, NZ. 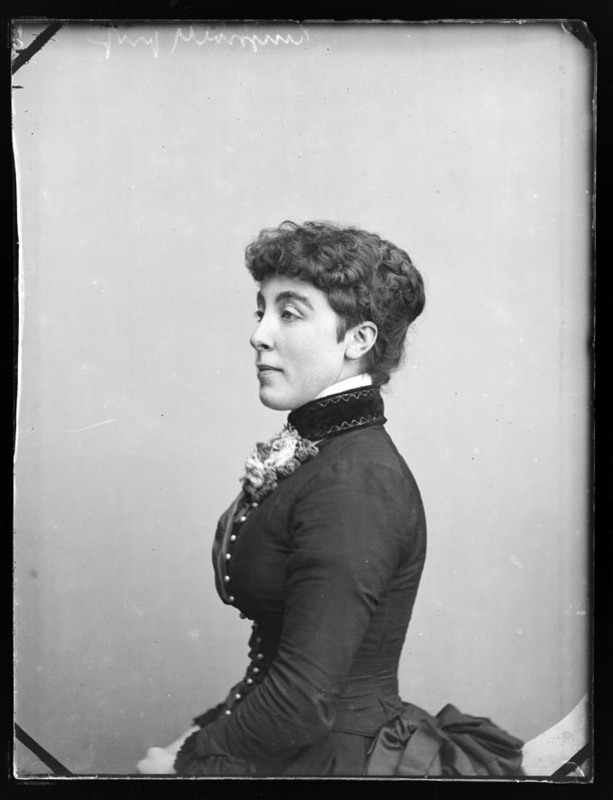 Eliza Annie Kingswell, born, 10 March 1854, Westbury, Tasmania, Australia. Married Samuel Nichol, 24 January 1871, in Invercargill, Otago, NZ. Died 1 August 1913 in Bluff, NZ. Charles Burcher Kingswell, born, 29 January 1856, Westbury, Tasmania, Australia. Died, 21 November 1908 in Purewa Auckland NZ. Ada Elizabeth Kingswell, born 16 February 1858, Deloraine, Tasmania, Australia. Married William Arctus Perry Sutton (b. 1837 d. 1912) February 1877, in Invercargill, Otago. Eva Florence Kingswell, born 23 May 1860 Deloraine, Tasmania, Australia. Married Charles Henry Howard, 12 October 1885, in All Saint’s Church, Nelson NZ. William “Will” Henry Kingswell, born 22 August 1862, Deloraine Tasmania Australia. Edwin Croucher Kingswell, born 30 September 1864 – most likely in Tasmania, Australia. Married Marcilla Lawlor, September 15, 1908 at New Liskeard, Ontario, Canada. Died 28 February 1930 in Toronto, Canada. George Herbert Kingswell, born 20 July 1867, Kew, Invercargill, New Zealand. 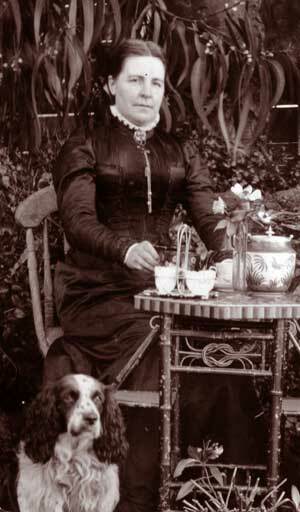 Married Winifred Maude Adams, in South Africa. Died 23 June 1931 South Africa. Percy Nichol Kingswell, born 16 October 1870, at the Kingswell’s residence Woodville, Bluff Road, Invercargill, New Zealand. Married Victoria Emily Mountney on 27 September 1898 in Bluff NZ. Died in Auckland NZ on 4 September 1928. Ethel May Kingswell, Born 16 August 1872, Kew, Invercargill. Married Roderick Paterson on 11 November 1895 in Auckland, NZ. Died 1950, Auckland, New Zealand. 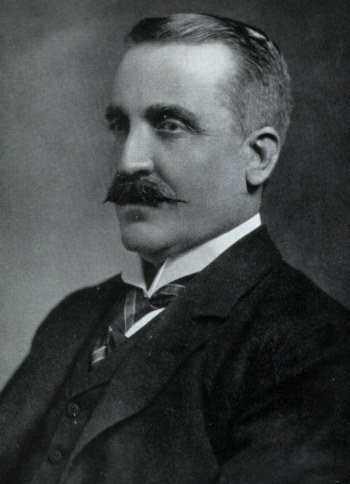 Born 21 October 1850, Launceston. Died 1 December 1850 Launceston, Tasmania, Australia. She also appears in the wedding photograph of her daughter Hilda to Robert Shallcrass. The late Mrs Gillow, whose death was recently reported, was well known throughout New Zealand. In her early years of her married life she resided at “Westwood,” The Narrow, Riverton. She afterwards moved to Dunedin. and with her family were amongst the first residents on the Roslyn heights. 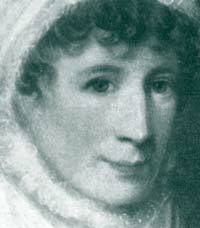 Her husband’s profession necessitated a removal to the West Coast, and for many years Mrs Gillow took an active part in Westport in all women’s work. She was a successful amateur horticulturist, and gained many honours for her exhibits at flower shows. She had not been in very good health in recent years and passed away quietly at her daughter’s residence, Featherston Terrace, Wellington, on Tuesday last. She is survived by her husband, Mr Edmund Gillow, C.E, two daughters, Mrs R. W. Shallcrass (Wellington), and Mrs Young, wife of Mr H. A. Young, Stipendiary Magistrate of Hamilton, and one son, Mr George Gillow, engineer, Swan HM, Victoria. Ernest Arnott Nichol married Hilda Metzger. born, 29 January 1856, Westbury, Tasmania, Australia. Married Mary Jane Binney on 13 October 1887. Died, 21 November 1908 in Purewa Auckland NZ . Attended the Invercargill Academy in 1867 and wins 3rd Equal in Bible History. Attended Otago Boys’ High School 1871/72. Appears as Corporal C Kingswell as part of the infantry representatives at a colonial prize firing in January 1875. In 1876 he promoted to Second Lieutenant 27 May 1876, Invercargill Artillery Volunteers. In November 1877 he is a Lieutenant and acting Major of the Brigade, Invercargill Artillery. In December 1879 his resignation of his Lieutenant’s commission is published in the Otago Witness. He appears in the “Return of the Freeholders of New Zealand” 1882 as a “fellmonger”, Invercargill. Holding property of less than an acre (represented as “* acres”) with a value of £10. Listed for various exports from the Port of Invercargill, mostly hides & tallow, around 1883, 84 & 85. However, the last mention if him in the Southland Times is a call for his creditors to the Residents Magistrate’s Court on 24 July 1885. In the same newspaper on the same day, notes the first wool sales of the year in Auckland and lists 120 bales being offered by C. B. Kingswell and Co., and of 604 bales offered by G. W. Binney and Sons. A well-known figure in Auckland commercial circles passed away on Saturday. C. B. Kingswell had long been prominent in the wool and hide market, and his genial smile and word will be missed. For something like a quarter-of-a century he was associated in partnership with his father-in-law, the late Mr G. W. Binney, and no long interval has elapsed between the respective dates of their demise. C. B. Kingswell was an Invercargill boy, and a lover of manly sport from his earliest years. In Auckland he was famous as a bowler and cricketer, and in all capacities made many and fast friends. A brother has greatly distinguished himself in journalism — as a war correspondent in the China trouble, and since as the proprietor of the Johannesburg Daily News and Sunday Times. In December 1916, this firm, C B Kingswell and Company was still trading in Fort St Auckland. A picture of the building is shown here in the Auckland City Library (item 1-W949). Born 16 February 1858, Deloraine, Tasmania, Australia. A Sutton decesendant has writtern and advises that it’s Longraigue, County Wexford. William A. P. Sutton appears in the “Return of the Freeholders of New Zealand” 1882 as a “Sheep Inspector “, Masterton. Holding 60 acres in Gladstone with a value of £60. 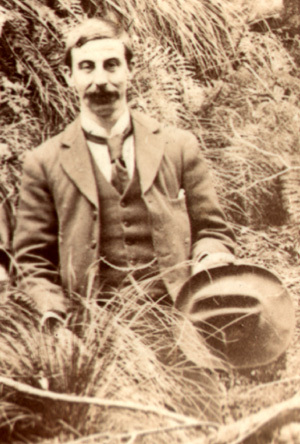 He died in 1912, and was a Sheep and Abattoir Inspector (in both Dunedin and the Wairarapa). Hugh Parry Sutton, born 1879 in Blenheim in 1879. Married Grace McCredie in 1934 (no childern), and he dies in Papatoetoe in 1964 – noted his occpantion of retired mixed farmer. Edith Sutton born 1881 died at two days old. Gerald Caesar Sutton, born Masterton 1882, did not marry, and he dies in Papatoetoe in 1945 – noted his occupantion of Stock Agent. Ada died 28 February 1903 (another source says 1907 in Otathuhu). William remarried in 1910 to Mary Douglas Campbell in Wellington and then in Pukekohe died in 1912. Born 23 May 1860 Deloraine, Tasmania, Australia. Married Charles Henry Howard, 12 October 1885, in All Saint’s Church, Nelson NZ. Married Charles Henry Howard, 12 October 1885, in All Saint’s Church, Nelson NZ. He appears in the “Return of the Freeholders of New Zealand” 1882 as a “Solicitor” Dunedin, holding land in South Dunedin with a value of £60. HOWARD – KINGSWELL, 12 Oct, Nelson, Charles Henry Howard, solicitor, Dunedin, to Eva Florence, 4th daughter of W B Kingswell, Invercargill. They later lived in Clifton Terrace, Wellington NZ. Note the Nelson Provincial Museum has an image of a ‘Miss Howard’ to has a strong Kingswell resembance ( link ) who maybe one of the daughters above. Eva had died before 1931. 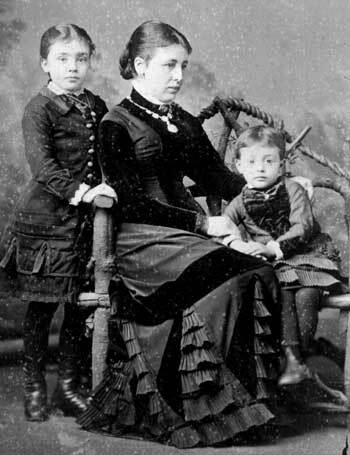 Above, Eva about 1885 in Nelson. born 22 August 1862, Deloraine Tasmania Australia. Attended Otago Boys’ High School in 1876 and Nelson College 1877-78 – while at Nelson he played for the College 1st XV in 1878. Putting together his listings (student 718) in the Otago Boys’ High School Centennial Register 1863-1963, and the earlier edition in 1925 along with his Nelson College listing it appears that he was a ‘wool classer’ at Mort & Co., Goldsborough Sydney N.S.W. Australia (better now known as Darling Harbour – the Mort Building is now an historic building on the waterfront). He played representative cricket for Nelson (although evidence suggest that this was only for Nelson College) and played representative rugby in a match between Southland & Dunedin (but no further evidence supports this and could be from his Otago Boys’ High School days). His great-niece recalls that he may have run a ships chandlery store in the Bluff (now doubtful). ALLEGED BREACH OF APPRENTICE’S INDENTURES. born 30 September 1864 – most likely in Tasmania, Australia. Married Marcilla Lawlor, September 15, 1908 at New Liskeard, Ontario, Canada. Died 28 February 1930 in Toronto, Canada. E. G. Kingswell was arrested here tonight on a warrant charging him with having failed to appear at Greymouth to give evidence in the case of the bankruptcy of himself and his partner, Riddley. The firm had been carrying on business as tea merchants. Kingswell is merely charged with a technical offence, and will be taken back to Greymouth, so that he may give evidence in the case of the bankruptcy. Wise’s Postal Directory places him in Reefton in 1894 (no occupation given) and in 1904, 1905, 1906 & 1908 he was listed as a ‘Mining Expert’ Reefton, NZ. In the Otago Boys’ High School Centennial Register 1863-1963 his entry 902 reads; “mining expert, Reefton, went to Klondyke then to British Columbia. Later mining inspector British Columbia.” Appears on the passenger list of the “Mariposa” arriving in San Francisco in December 1899 en route to British Columbia from Auckland, New Zealand. In the Ontario Marriage Registrations (Canada) Edward Croucher Kingswell, 43, of Haileybury, Mining Engineer, the son of William Burcher Kingswell & Elizabeth Mary Bryant married Marcilla Lawlor, 42, of Haileybury, a widow, daughter of John Wilson & Marcilla Ardell, on September 15, 1908 at New Liskeard, Ontario, Canada. May have returned to New Zealand in early 1927 – as he sailed on the ‘Aorangi’ first class from Sydney NSW on 5 May 1927 back to Canada. In the shipping record he descibes himself as a resident of Canada (Toronto, 1900 to 1927) and has paid his own fare. Died 28 February 1930 in Toronto, Canada – the Death Certificate does not record if he had children, but does list his occupation as Mining Engineer and the informant is his widow, Mrs Marcilla Kingswell. Three nuggets of silver found near Ontario, Canada. These nuggets of nearly pure silver were found upon the surface of Wiley’s claim, Cobalt, Canada. One nugget weights 305lb, and the other 258lb. The smaller ones run from 29 lbs. They are the largest nuggets of silver in the world. A fifty-fifth interest in the claim has been purchased by Mr E C Kingswell of the Otago High School, for one hundred thousand dollars. This cobalt field has produced 3,850,000 dollars in seven months and and has ten million more in sight. The weight of the ore occasionally goes 50 per cent silver. Born 20 July 1867, Kew, Invercargill, New Zealand. Married Winifred Maude Adams, in South Africa. Died 23 June 1931 South Africa. George has his own Biography entry here. born 16 October 1870, at the Kingswell’s residence Woodville, Bluff Road, Invercargill, New Zealand. 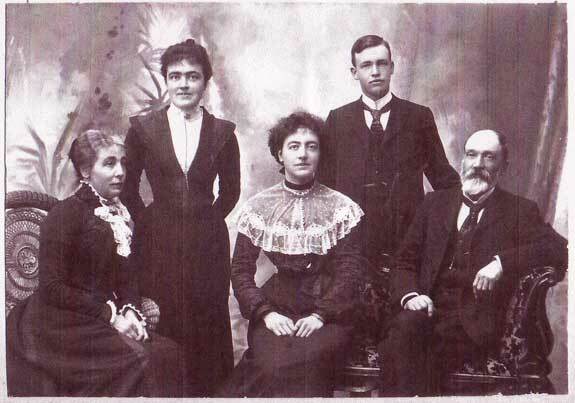 Married Victoria Emily Mountney on 27 September 1898 in Bluff NZ. Died in Auckland NZ on 4 September 1928. Percy has his own Biography here. Died 1950, Auckland, New Zealand. Listed in the 1893 Electoral Roll for Avon (Christchurch) NZ. Married Roderick Paterson on 11 November 1895 in Auckland, NZ. Little is known of this branch of the family, Roderick was an engineer and dies in Auckland 9 October 1928 aged 72 (making his birth year, 1856). The marriage of Miss Ethel Kingswell, sister of Mr F. Kingswell of the firm of Messrs Binney and Son, to Mr Roderick Paterson, chief engineer of the Upolu, took place on Monday at St. Paul’s Church, Symond-street. The wedding was the first to take place in the newly erected and recently-consecrated Church, and in accordance with the usual custom, the newly wedded couple were presented with a Family Bible. A large number of friends were present to witness the ceremony, which was celebrated by the Rev. Canon Nelson. The Upolu was gaily decked with bunting throughout the day in honour of the event. 1, James Roderick Paterson, married Ada Corcoran in 1919, he dies in 1973 in Auckland.